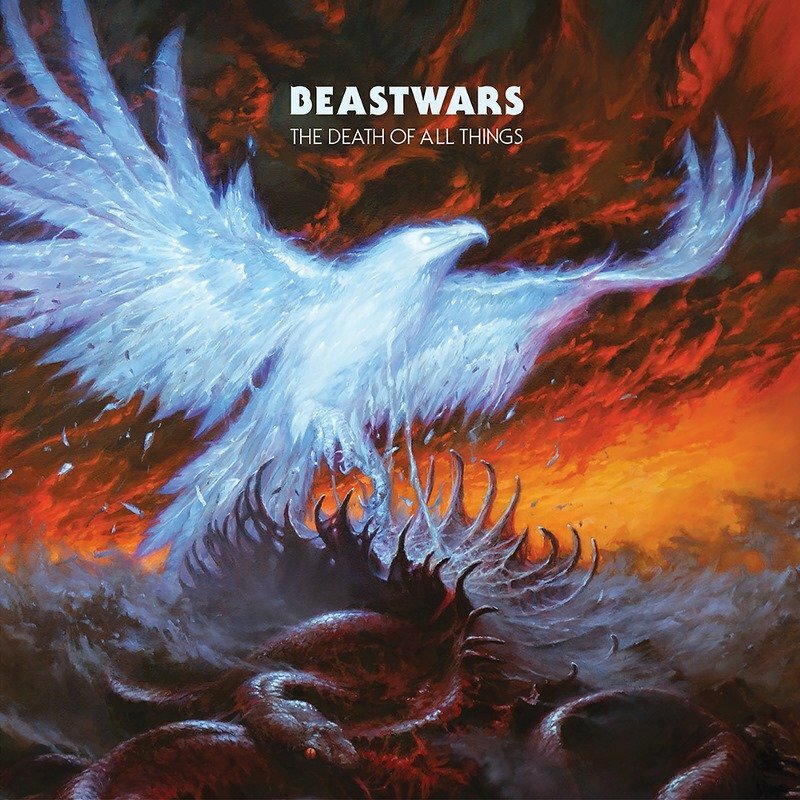 "Seemingly growing and unstoppable, Beastwars don't do anything small and it's time they became worldwide. Simply enormous, their time is now." 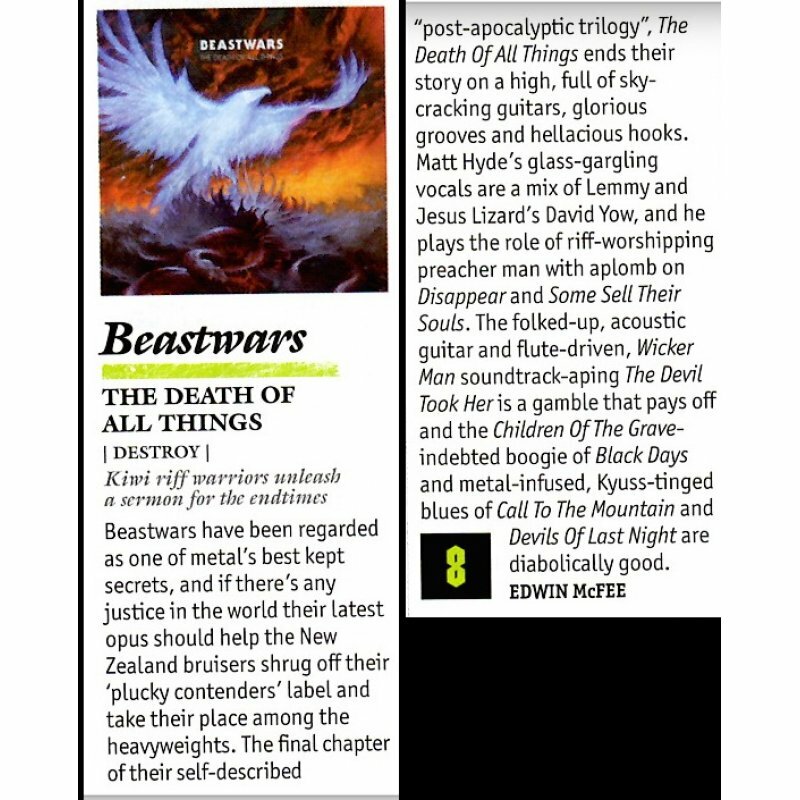 "If there is any justice in metal it shouldn't be too long before Beastwars are dragging their distinctive sound - one which includes but is not limited to High on Fire's molten sludge, Kyuss's Sky Valley grooves and the rhythmic backbone of Unsane - to a sweat and sawdust venue near you." Obey The Riff... As far as aphorisms go few hit harder than Beastwars' heavy metal mantra. 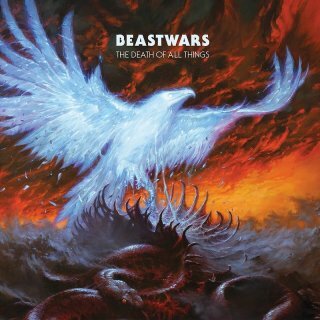 Returning in 2016 with what will undoubtedly become one of this year's most revelatory releases, Beastwars are a band so heavy, and heavily admired by fans in the Southern Hemisphere, they practically weigh the world in place and stop it spinning wildly off its axis. The Death Of All Things was produced by the band and James Goldsmith in their hometown of Wellington, New Zealand, mixed by Andrew Schneider (Unsane, Big Business) and mastered by Brad Boatright (Sleep, Windhand). and is the third and final full-length in a post-apocalyptic trilogy. An album that signals the arrival of one of metal?s best-kept secrets out from under; primed to take on the world full tilt. Two years on from their internationally acclaimed debut, Beastwars returned in 2013 with Blood Becomes Fire which landed at #2 in the nations music charts. The album delivered ten songs retaining all the strength and psychedelic fire of their first while presenting a powerful evolution in vision.